One of the most recognized names in the vacuum industry is Dirt Devil. Their home vacuum systems are rated number one all over the world. The Dirt Devil home vacuums offer a reliable and the most efficient cleaning of any vacuum cleaner on the market. 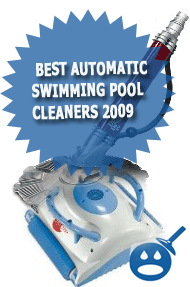 If you trust Dirt Devil to take care of the dirtiest carpets why not trust them to clean your swimming pool. 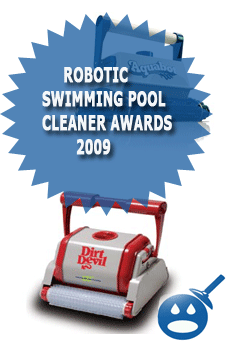 Yes, Dirt Devil has a complete line of Robotic Swimming Pool Cleaners. Dirt Devil Robotic Cleaners offer you the most advanced technology in their designs and in the computerized systems. 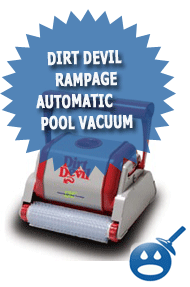 Dirt Devil offers many great swimming pool vacuum products, but one of the most popular is the Rampage. If you are looking for a great way to start off your summer and you are looking forward to spending more time in the pool than cleaning it, then the Rampage is for you. The Dirt Devil Rampage can actually calculate the size and shape of your pool and then design an efficient cleaning pattern that will leave your swimming pool sparkling, this advanced technology is called the Dirt Devil patented Quik Clean Technology. The Rampage also offers an easy to clean filter that will contain all of the bacteria and germs that may float around in your swimming pool.The Dirt Devil Rampage offers a very powerful on board computer system as well as a powerful pump that will remove dirt and debris from not only the bottom of the pool but from the walls and stairs as well. You don’t have to connect the Dirt Devil Rampage to any filter system, the unit is self-contained. The Dirt Devil Rampage offers a Wireless Remote that will guide the machine to move around the bottom of the swimming pool with ease. You can even set the remote for spot cleaning if you are touching up rather than a full cleaning. 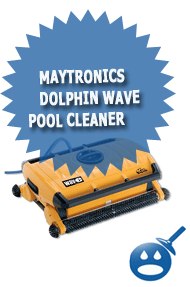 The Rampage is designed to clean standard residential swimming pools up to 20′ x 40′. You will see your energy bills decrease from last year. With the Rampage using its own system to clean your pool, you won’t have to run the filter excessively and by using the Dirt Devil Rampage you will also cutback on how many times you have to backwash your swimming pool. The Dirt Devil Rampage has a ground speed of 55 feet in one minute. The power supply needed is a standard 115 or 220 vac with a 50/60 Hz. It has a secondary power supply of 24 Volt DC. The Dirt Devil Rampage offers a sparkling clean swimming pool in up to 3 hours. The unit is lightweight and weighs in at 21 pounds. The Dirt Devil Rampage offers a 75-gallon per minute suction rate, one of the most powerful in the industry. It comes with a 55-foot power cord and it comes with a three-year warranty. If you are looking for an easier way to transport the Dirt Devil Rampage there are Cleaner Carts are available. The Dirt Devil is easy to use, simply plug in the machine and place it into the water. Set the Rampage for spot cleaning or cycle cleaning. You will be impressed on how well the Dirt Devil Rampage actually works.The Dirt Devil Rampage works best on in-ground swimming pools and it won’t cause any wear and tear on the pool at all. 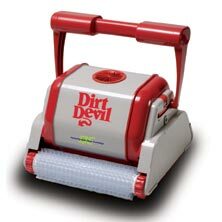 Dirt Devil is one of the most recognized names in the world for vacuuming. If you trust Dirt Devil with your home carpets why not trust them with you r swimming pool. Check out the different styles that the Dirt Devil Vacuum Systems have to offer.